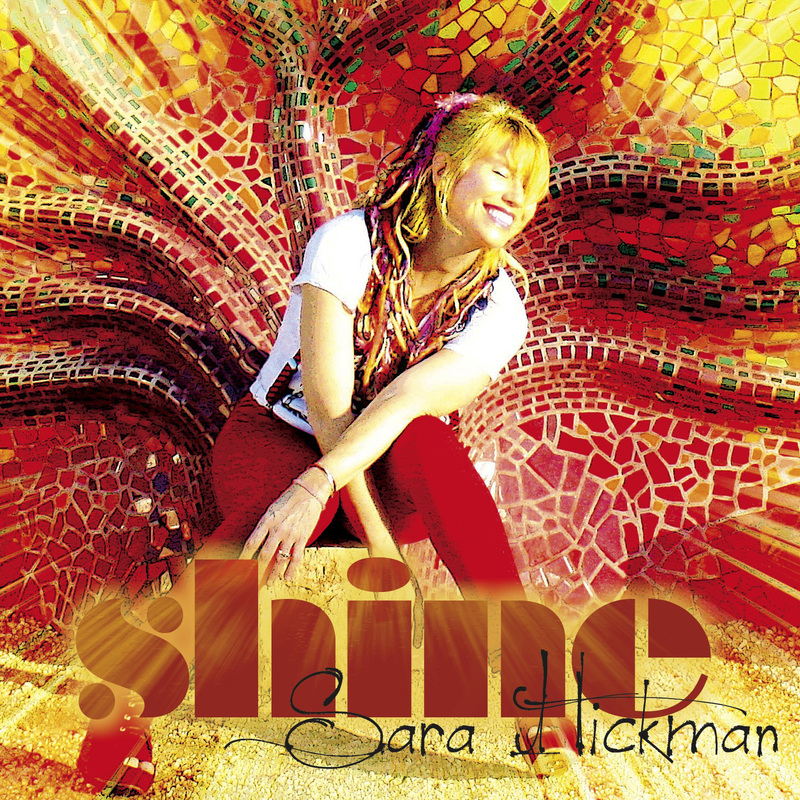 Recently, it has been announced that Sara Hickman, one of Performing Songwriter’s 100 Most Influential Independent Artists, will debut her album Shine on July 23, 2013. The album will have 10-songs that were converted from poems and visions and were transpired onto sheets of paper. This is a highly ambitious effort for Sara, whose songs were given wings by Los Angeles-based musician, producer and songwriter, Jim Jacobsen (Eels, Pulp Fiction, Reservoir Dogs, etc). Of the recording process, Hickman states that “Usually, I have a plan, an entire concept for a recording in mind, and then I write the songs to fit into that ideology. However, with Shine, I just had fun. I wanted to take risks and just go with the flow, starting with those scraps of ideas. She has recorded in Austin, Nashville and New York, and decided to record her debut in LA, away from family and friends to retrieve a different vibe and energy. Hickman claims that “making music is such a weird job because who knows where it comes from? There’s nothing, then…Bam! A song exists. And if it connects with other people, that weirdness blends into blissful camaraderie. Or it pisses people off. But I guess that’s what art/music is supposed to do- cause a reaction. Otherwise, you’re just a feral cat, but you aren’t aware of the fact.” Her music has been critically acclaimed with Rolling Stone stating, “Tuneful, clever and carefully observed, Sara Hickman’s material has all the strengths expected of a contemporary Texas songwriter, plus one more – whimsy…,” among strong compliments from Associated Press, The Maverick Report and New York Free Press. Sara’s music “testifies to her diverse and emotional songwriting capabilities that appeal to a wide range of audiences.” With “Shine,” it’s positive and encouraging song, that Hickman says is for people “to come out of their shell.” With “You Are Not Alone,” the single inspires those to keep on going amidst adversity, to keep their hope alive. These songs aren’t just feel-good filler; they’re personal and true to Sara and her poignant message of truth and kindness. She participates in numerous civic outreach initiatives, including raising hundreds of thousands of dollars for Dallas Dance for Life, House the Homeless, Bryan’s House, Amnesty International, homeless shelters and Mothers’ Milk Bank. She has also traveled overseas to provide monetary goods and needs, clothing and supplies. Additionally, she has personally raised more than $50,000 for the Hill Country Youth Ranch, a safe haven for severely abused children in Ingram, Texas. Austin, Texas has twice celebrated “Sara Hickman Day” in 1996 and 2009 to honor not only her musical accomplishments, but also her dedication and community involvement. Wow, what an honor of achievement to be bestowed upon Sara and her relentless and selfless giving. Hickman has been lauded by the Dallas Observer and the Austin Music Awards in categories including Best Musician, Best Producer, Best Indie Release, Best Major Label Release and Best Female Vocalist. Hickman has just announced a new relationship with Luna Guitars, whose mission is “to craft fine stringed instruments with artistic sensibility that are comfortable, affordable, and inspirational to people of all ages and walks of life. Sara will be taking Luna Guitars on her 2013 Shine tour. Her upcoming tour dates include several in her home state of Texas at the popular venues, Cactus Cafe, McGonigel’s Mucky Duck and Levitt Pavilion. Shine was mastered by Dave McNair, who has worked with Bob Dylan, David Bowie and Bruce Springsteen.